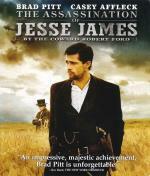 Everyone in 1880s America knows Jesse James. He's the nation's most notorious criminal, hunted by the law in 10 states. He's also the land's greatest hero, lauded as a Robin Hood by the public. Robert Ford? No one knows him. Not yet. But the ambitious 19-year-old aims to change that. He'll befriend Jesse, ride with his gang. And if that doesn't bring Ford fame, he'll find a deadlier way. Friendship becomes rivalry and the quest for fame becomes obsession in this virile epic produced in part by RIDLEY SCOTT and featuring gripping portrayals by BRAD PITT (winner of the Venice Film Festival Best Actor Award) as Jesse and CASEY AFFLECK as the youth drawn closer to his goal...and farther from his own humanity. Holy cow... This one cracks my top 5 most boring movies I've ever seen. The others are (in no order) The Pledge, The Cell, Solaris (Clooney version) and Lost in Translation. Please note I did say boring, not necessarily bad, although I honestly have a hard time saying this was good. The story is completely predictable. No surprises whatsoever. There was little to no action, no suspense, no mystery and very little comedy (none really but some of Pitts performance was funny). Fact is if it were not for Pitt's performance I would have felt like I completely wasted 2 1/2 hours of my life. I only kept watching to see what he would do next. Some of his scenes reminded me of his Twelve Monkeys role, which is a good thing. The Cinematography was different. That too was a plus. It's almost lack of colors was quite striking in the HD transfer. Very cool at first but unfortunately it lost some appeal as the movie went on and eventually became a bit of a distraction I thought. Even the soundtrack wasn't that great. One notable exception was a song near the end sung by the always charming Zooey Deschanel. Didn't know she was in the movie but recognized the voice immediately. It's too bad she was only in it at the end. Sorry Jon, I read your review but we certainly disagree on this one. Unlike Eric I did manage to stay awake through the entire movie. Too bad for me. My goodness, look how much wrong you did all over this page. I'm with you on a lot of movies but just can't agree on this one. The only challenging thing about it I found was the challenge to finish watching it! Golden Globe Award-winning* actress Jennifer Garner is Sydney Bristow. Syd's not exactly your average grad student. Her life might appear normal, but she's hiding a secret life working as a spy for the CIA. Sydney's world is turned upside down when she learns she may work for the very enemy she thought she was fighting. Now she's entangled in a covert lifestyle where she is forced to question the allegiances of everyone, including those closest to her. 'Entertainment Weekly' says ALIAS is "a spy-fi roller coaster of killer gadgets, double roundkicks, triple crosses, poignant confessionals, cliff-hangers, sliced-off fingers, conspiracies, outrageous outfits, exotic locales, flirtations, mythologies – and that's just before the first commercial break." Now see 22 mesmerizing episodes that launched it all in this 6-disc set. You'll also experience the never-before-seen extras that give you special access inside the world of ALIAS. See the show everyone has been talking about that has redefined series television. This edge-of-your-seat collection with its heart-pounding action of unpredictable plot twists will have you gasping for air and begging for Season 2! I knew I would like this series when it was on TV but I never watched a single episode. I really don't remember why, must have conflicted with something else I liked more. The first episode sets the tone for the entire season (and probably the whole series). I couldn't help but constantly make comparisons to Chuck while I watched the first few episodes. I found that as I watched more episodes I stopped making those comparisons, except for Sydney herself (Jennifer Garner). Even as I watched the season finale last night I found myself wondering how Sarah Walker (from Chuck, played by Yvonne Strahovski) would handle the same situation. I think from a spy POV Sarah Walker has the edge and she would most likely win a fight between the two as she can actually take a punch. Sydney has Sarah beat though in her personal life, she actually has one (well tries to anyway). As far as the, well, eye candy portion that shows up in each episode I guess it depends on if you like blondes or brunettes! (Although Sydney does wear wigs a lot so...). Both are certainly pleasing to the eye and the writers make sure you know it. Alias is a J.J. Abrams show. I'm guessing everyone here knows who he is. If not he is the driving force behind Lost and Fringe (as well as other TV shows and Movies). Alias certainly has a similar format to both Lost and Fringe. Every episode some new twist with a continuing story arc that grows and evolves as you get farther along in the season/series. So far the twists have been good and believable. Typically the last scene in each episode is one of the WTF moments that makes you want to watch the next episode immediately. This is the kind of thing that drive me crazy when watching on broadcast TV but is really good when you have the DVD. Even though there is a lot of action throughout I found myself falling asleep in almost every episode. Even if I watch during dinner. I finally figured it out near the end of the seaon. In just about every episode there is at least one scene (sometimes more, back to back even) where the actors are talking very low and very monotone. For some reason when Jennifer Garner is in these scenes it's lights out for me. There must be something in her voice when she speaks low that just completely relaxes me and puts me to sleep. She'd be great reading bedtime stories. I wouldn't make it past page one! The rest of the cast is good. Nobody really stands out. Garner is in just about every scene and really does a good job I thought. So far they have done a pretty good job developing Sydneys character as well as a couple of others (don't want to say much as it may be a spoiler). For the most part though the show is about Sydney and her adventures and everyone else is there to support her character. Some of the effects are a bit cheesy but for TV they aren't too bad. There's something about CGI fire that gets me though, especially when it's bad. Sydney travels around the world so there are a lot of exotic locations. I'm guessing most of them are done with green screen or just stock footage but it's still pretty cool. The music is a bit techno for me. Almost annoying. They do however have at least one "song" in every episode that is very nice. In fact there were a few I had to look up the artist and listen to more of his or her music. Can't go wrong with that I guess. Every mission they also have some new gadget. Some of them are pretty farfetched. There was one that consisted of a pair of sunglasses that when Sydney made eye contact for 10 seconds with someone it would scan their retina and send the information to a receiver her partner had. With this receiver he was able to create a contact lens that matched the retina of the person scanned. Insert contact and you could fool a retina scanner into thinking you were the original person thus bypassing the security. Like I say, a bit farfetched but still fun. If you like spy movies, good action, espionage, drama, plot twists, and the obligatory skimpy outfit scene then Alias is for you. I waited for years for the complete collection in the Rambaldi box to go on sale around $80.00 but it never did. I was in a Best Buy last year and was each season for $12.99. It was too good to pass up. the search leads into a shadowy realm where money and political intrigue intersect. Martin Campbell (Casino Royale) directs from a screenplay written by Andrew Bovell andThe Departed's William Monhan. I liked this movie the 1st time, when it was called Ransom. This is the typical good guy going rogue someone he loved is kidnapped/killed/etc. While it's not quite as good as last year's "Taken" I did enjoy it. I actually watched it over a week ago but am just now getting around to posting the review. There are a couple of jump out of your seat moments, mostly due to a loud noise at a quiet time. The loud noise typically coincides with someone getting wasted pretty violently. The kind of scene that makes you look at the person you're watching with to see if their reaction was similar to yours. Some different type relationships between the characters in this. Gibson's character (Thomas Craven) and a 'cleaner'. played by Ray Winstone is one of these. The two have obviously led similar yet completely different lives and seem to have what could only be called a mutual respect for each other. Winstone's character has his own mission and it plays out quite nicely I believe. 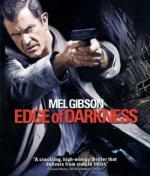 Another interesting relationship is between Gibson and his daughter, played by Bojana Novakovic (Drag Me to Hell). Kraven tries real hard to relate with his daughter when she comes home to visit. There isn't much time for them to show this relationship while she is alive... so they continue after she is killed. Throughout the movie he continues to talk to her and interact with her, many times as a child. It's done in a way where you can put yourself in that situation. Like one time they show him shaving and next thing you know he is remembering when he taught her to shave (cute scene). The relationship, even though it's only in his head, continues to the end of the movie where it (sorry - not going to say it ). The picture and sound was good on the Blu-ray. Nothing stunning, but it's not like you're watching Planet Earth or something like that. Over all it's a pretty good movie with some decent twists. Nothing spectacular but good enough to own and watch more than once, just wait for a sale. I got my Blu at Target for $10.00 and feel it was certainly worth it. I like the sound of this, but Gibbo always does this sort of thing well, like Payback. 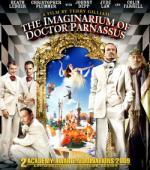 Enter a dazzling world of fantasy in The Imaginarium of Doctor Parnassus, director Terry Gilliam's magical adventure tale starring Heath Ledger in his last film role along with Christopher Plummer, Johnny Depp, Colin Farrell and Jude Law. In exchange for extraordinary powers, Doctor Parnassus (Plummer) makes a deal with the Devil to turn over any child of his when they turn sixteen. But as his daughter Valentine's (Lily Cole) birthday approaches, a mysterious stranger (Ledger) arrives with the power to change everything. In this captivating, explosive and wonderfully imaginative race against time, Doctor Parnassus must fight to save his daughter in a never-ending landscape of surreal obstacles - and undo the mistakes of his past once and for all! Forget the hype about this being Heath Ledger's last movie and forget for a minute it's a Terry Gilliam movie. This movie is an imaginative look at good versus evil. Plain and simple. That is the underlying theme throughout from the beginning to the end and shows itself in many of the sub plots. The movies uniqueness is a welcome change from a lot of what you typically expect to see. Everything immediately surrounding the Doctor and his cast of characters could be transported to 1900 and would fit right in yet the movie takes place in our current time. While I found it bizarre I was drawn in and wanted to see how the story would play out, if good or evil would win. Now let's add Terry Gilliam back into the mix. I am a fan of his since I used to watch Monty Python's Flying Circus in the early 1970s on the local PBS station (Sunday night - 10:00 I believe). You know when he is involved with a movie, especially as the writer, it is going to be an experience. You can definitely see his influence all over this movie. For me that is a good thing. The 'through the mirror' scenes are just flat out trippy and would probably be even more appreciated under the influence of some mind altering drug but I'm way too old for that crap so I had to just enjoy them with a clear head. Even at that though there was one particular sequence where I felt my mind was altered ... perhaps some sort of early eighties flashback . I have never seen Brazil (I know ). After watching this movie I certainly intend to rectify that as I understand it is one of Gilliam's best. Add to that Imaginarium is also co-written by Charles McKeown who helped Gilliam write Brazil. Makes me want to watch it even more. I do believe I'll wait for a blu-ray to be released though. As everyone here knows (I'm guessing anyay) this was Heath Ledgers last performance movie. He died before they were able to finish it. Fortunately they seem to have done all, or at least enough, of the reality side of the mirror filming so he wasn't needed to finish the movie. They simply used other actors for the inside the mirror scenes. They either added a scene at the very beginning or changed the existing scene to show you that when you are on the inside of the mirror you may not look like yourself. Bam. Instant plausible explanation. Something that actually added to the movie if you ask me and probably made it even better. There is a great relationship between Christopher Plummer's character and Verne Troyer's character. You don't fully understand just how deep it is until the final scene. The rest of the actors are basically nobodies, but that works. Lily Cole, whose character is actually what the entire story revolves around, seems to fit in perfectly with what I mentioned before. She works in the current world but you can easily see her same character 100+ years ago. I need to watch this movie again. I'm sure there are many little things I missed the first time around. If you enjoy unique storytelling with interesting characters and the occasional mind trip then this movie is for you. When mark Kermode reviewed this film he pondered whether it may have been a blessing in disguise (not his actual words) and that the use of the other actors on the other side of the mirror possibly worked even better than using heath all the time. I am also looking forward to see Brazil in Blu. Ideally Criterion reclaims the rights (assuming they no longer have them at the moment) and have a good go at it. It took the fantasy of the Imaginarium to the next level I thought. Very nice review, Rick. Still haven't seen it myself, but I keep meaning to. Perhaps it was because of Elia Kazan's infulence but to me this movie could be in the film noir category. No, I didn't know the director by name but when I looked him up I saw he directed Panic in the Streets and Boomerang. Both of which I watched and enjoyed. The look and feel of this movie certainly seems to fit other Film Noirs I have watched. Perhaps because it was more about the main character's internal struggle with what to do on a personal level then solving the crime or getting out of whatever situation the character was put it that keeps it out of this category. Maybe one of you more in the know can tell me why it's not considered as film noir. As I said, it was about one man's struggle of what to do and how to deal with the morality of his decisions. This is one of those must see movies for any true film buff. Fortunately for me it lived up to the hype (many don't). Brando was phenomenal, but he wasn't alone. Personally I found Karl Malden's acting just as riveting and filled with passion. He took command of every scene he was in. I'm not taking away from Brando, just pointing out there were other noteworthy performances too. Being a dues paying member of the Sheet Metal Workers Union (local 15) I couldn't help but compare the union bosses back then to what we have now. Unfortunately I feel some of the corruption we see in the movie still plays out today. Not so much telling people daily if they can or can't work (although that has happened in my family - my father was blackballed sometime ago) but the greed that was there then seems to be there now as well. (I mean no offense to anyone who may happen to be in a union or supports them - I am speaking in generalities here - I also don't want to get into a political debate about the pros or cons of todays unions...). I'll just leave it at this. Corruption has evolved but it is still there. I loved the cinematography in this as well as the locations in general. They transported me to a time where you could see someone sitting in front of a fan trying desperately to cool off on that hot summer's evening. Kids playing stickball in the street. Baseball game playing on the radio while drinking a glass of homemade lemonade. The rooftop scenes were very cool. I don't know if you can go from rooftop to rooftop like they showed in the movie now. Most likely not. If you can I'm guessing it is these rooftops where a lot of crime would go on today and somewhere you would probably be better off avoiding! The story itself was pretty predictable I felt, but everything else made the movie great. It certainly proved you don't need the best story ever written to have a great movie. Take a good story and tell it with great performances and you will have a winner. Good to see you were able to put this into proper context, Rick and identify with the culture. Did you know about the subtext? Kazan had been a witness for the House of Un-American Activities, as had the writer I seem to remember. The whole rotten affair damaged Hollywood for a while and Kazan was seen as a traitor for giving evidence. On The Waterfront was his way of highlighting how tough it is for someone to stand-up to corruption. Of course, whether there was any corruption anyway is another question.